If you live in Cape Town, you probably haven't reapplied that winter is coming. Who can blame you, we've had one revoltingly beautiful day after another since November. I myself, do not have enough winter friendly shoes. So I pine, I pine daily and I usually pine for all the ones I can't afford. 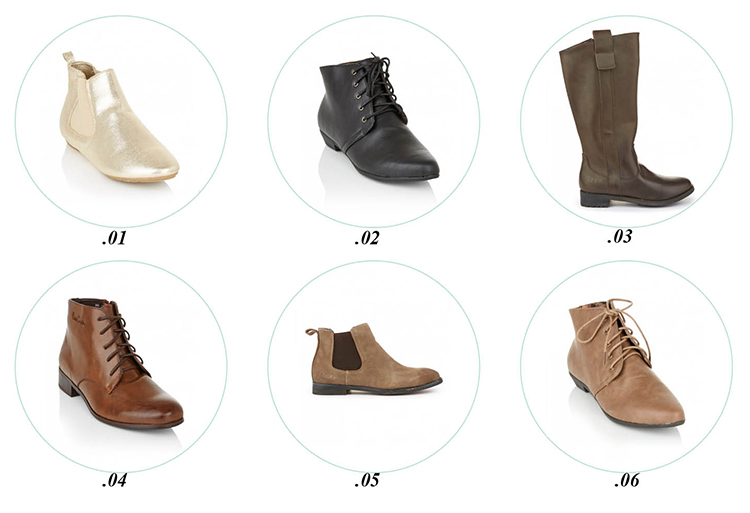 So imagine my delighted surprise when I had a look spree.co.za only to find the most darling range of boots - all very much in my price range. #1, #4 & #5 are my absolute must have right away picks, the rest will be in my wish basket to purchase some time before July.